I’m one of those people who used to never eat breakfast, which always resulted in me stuffing my face later in the day more than I would if I had eaten in the morning. Sometimes I only have time to grab something and go, so I needed to make something that was quick and portable. 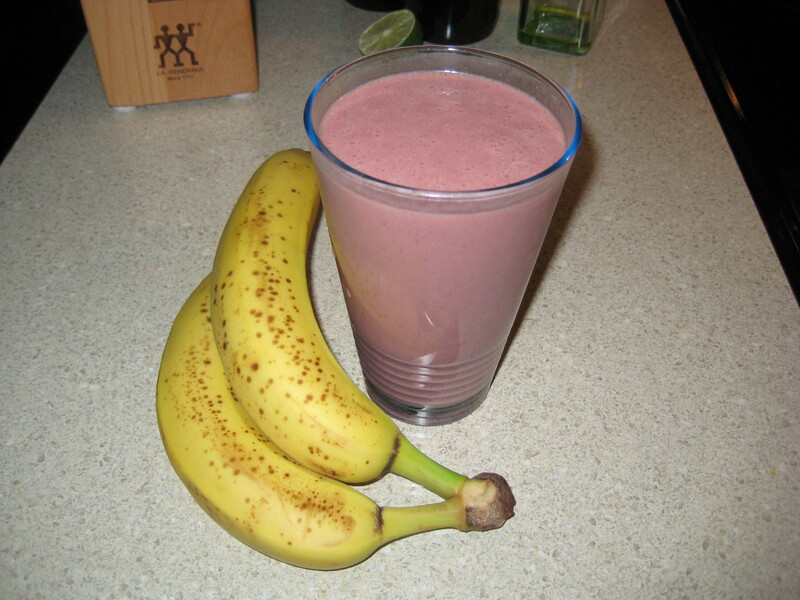 I was in the mood for a smoothie so I made this simple recipe for a great breakfast smoothie. You can have it as a snack, too! It also packs a lot of protein (6 grams) thanks to my Biggest Loser Protein Powder, available at your grocery store or drugstores. I love the chocolate flavor!